The filter press machine is for the solid and liquid separation.Its operation process is the extrusion of the plate frame to discharge the water in the sludge through the filter cloth to achieve the purpose of dewatering. Plate and frame filter press sludge dewatering technology is mature, simple structure, easy to operate, stable, filtering driving force, the water content of filter cake is about 20%, strong adaptability to materials, suitable for all kinds of sludge, so it is widely used.Today,we would like to introduce the application of plate and frame filter press in sludge treatment and Suggestions for selection. Plate and frame filter press is composed of plate and frame interlaced.A press cloth is covered on both sides of the filter plate and a press device is used to compress the plate and the frame, that is, a press chamber is formed between the plates.The same part on the top of the board and the frame is provided with holes. After pressing, each hole is connected into a channel.With a certain pressure, the chemically conditioned sludge is pressed into the channel, and enters into each filter chamber by the branch channel of each filter frame. The surface of the filter plate is engraved with grooves, and the bottom end is drilled with the channel for filtrate discharge. Under the action of pressure, the filtrate passes through the press cloth and is discharged from the filter press through the pore channel, while the solid remains and forms a filter cake on the surface of the press cloth.When the filter cake is fully filled in the press chamber, the dehydration process is completed, and at this time, the feeding of sludge to the press filter should be stopped.Then, turn on the filter press, pull out each filter plate in turn, peel off the filter cake, and clean the press cloth. 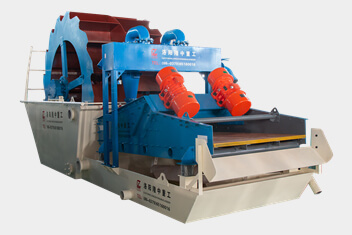 The plate and frame filter press is used for solid and liquid separation of various suspensions. It is widely used in coal, petroleum, chemical industry, metallurgy, medicine, light industry, food, environmental protection, textile and other industries. (1)Requirements for solids content of mud cake.Compared with other types of dewaterers, the general plate and frame filter press has the highest solid content of mud cake, up to 20%. (2) Material of the frame. (3) Material of filter plate and cloth.Corrosion resistance is required, and the press cloth should have a certain tensile strength. (4) Press cloth oscillation device to make the filter cake easy to fall off.Compared with other dewaterers, the biggest disadvantage of plate – frame filter press is large area. (5) The moving mode of the filter plate.Requirements can be completed by a hydraulic pneumatic device fully automatic or semi-automatic to reduce the labor intensity of operators. 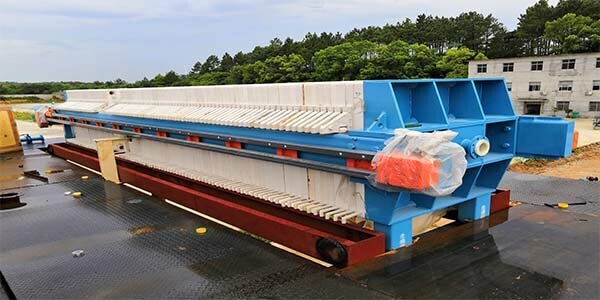 The above is the content of LZZG’s suggestions on the application and selection of sludge dewatering equipment — plate and frame filter press in sludge treatment. 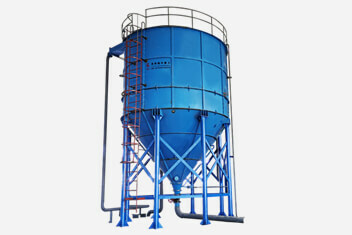 If you want to know more about the problems and products of sludge dewatering equipment, please contact us.